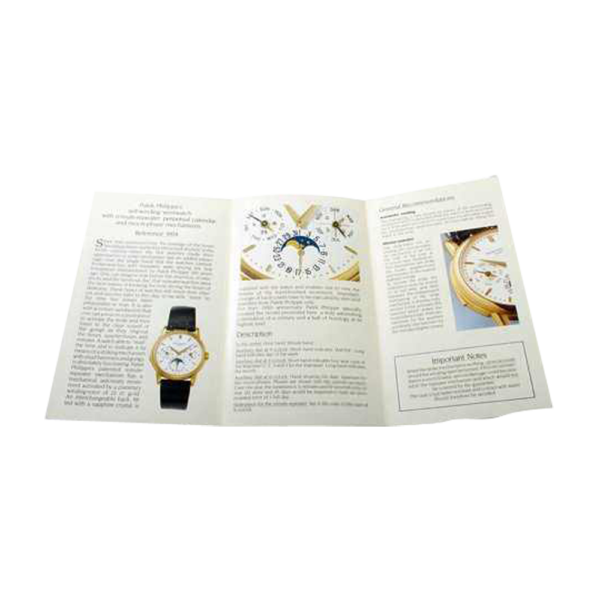 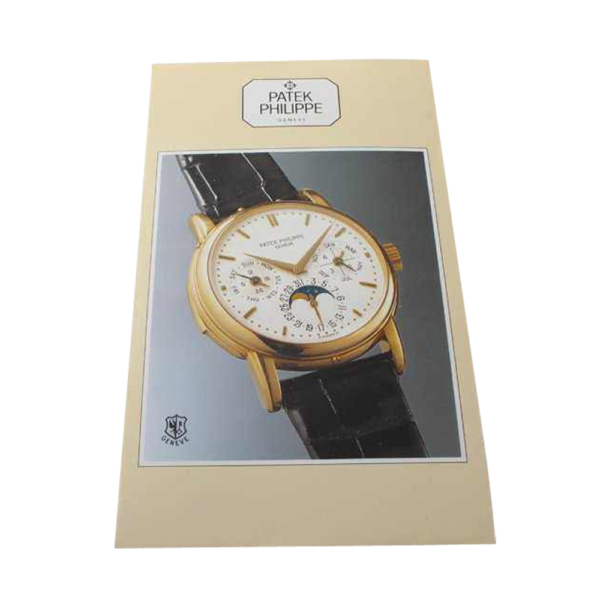 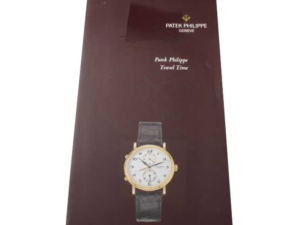 Rare Patek Philippe perpetual calendar minute repeater reference 3974 owners manual brochure with setting instructions and general characteristics of this very rare watch. 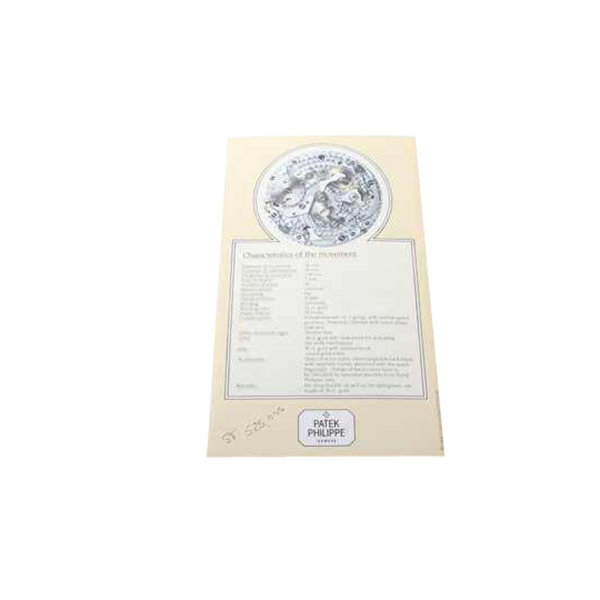 It has writing on the back of 525000.00 Swiss francs. 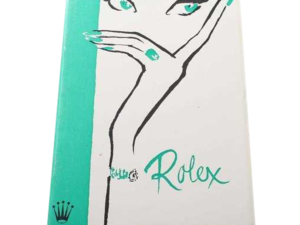 Circa 1989.